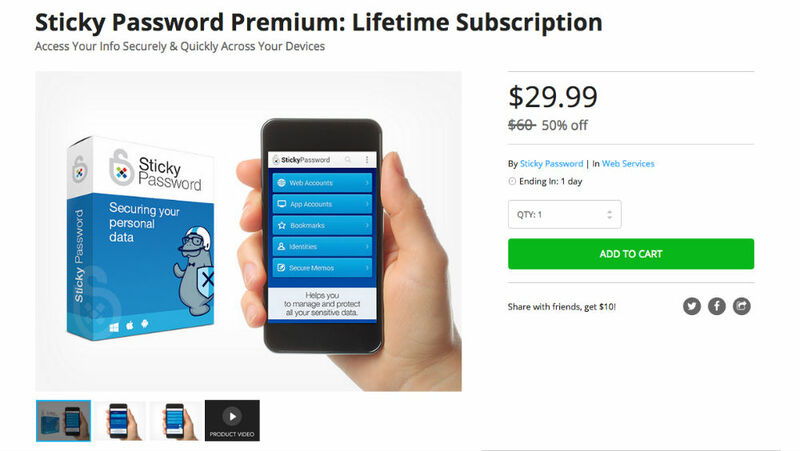 Time is running out to pick up a lifetime subscription to Sticky Password Manager for a discounted price on the DL Deals Store. Regularly priced at $60, your subscription will only cost $29.99, a solid 50% discount. With Sticky Password Manager, users can create strong and unique passwords whenever they are needed, managed under a single account. When visiting trusted sites, your passwords will be loaded automatically, meaning you will no longer need to remember multiple passwords for different sites. Ultimately, this should lower the time spent logging in, as well as freeing up a bit of your mind’s password storage locker. Created by the team behind AVG Antivirus, Sticky Password offers “unbeatable security,” plus an intuitive interface supported across all devices. If a password manager is on your shopping list, follow the link below.